This crunchy bean is low in calories and popular throughout India. The plant is extremely hardy and grows easily even in drought-like conditions. Now add potatoes and beans cook on a low heat. When it is cooked serve hot with roti’s. 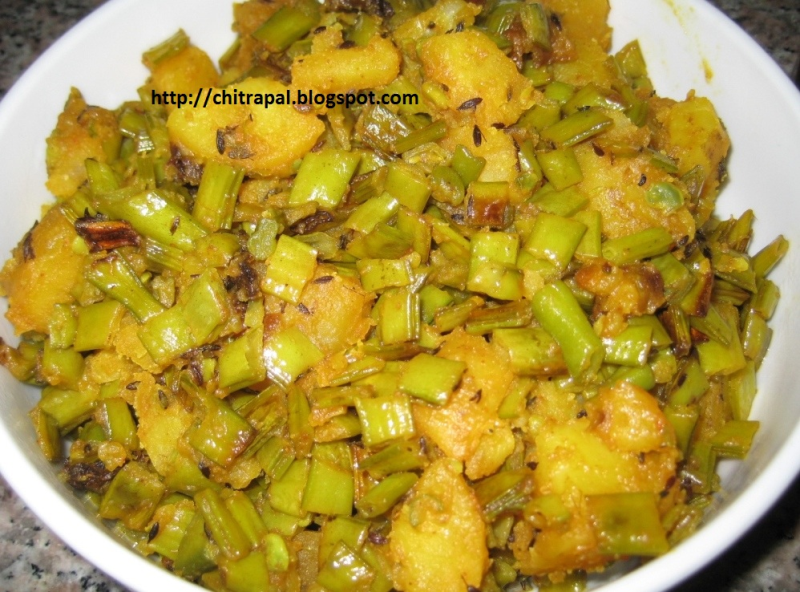 I cook it with ajawain and garlic with onion in tadka. It taste great that way too. Jayshree. Wow You seem to be really fascinated with your cooking. This is soo simple that even if you do not know how to cook, you can cook this. You can even cook without potatoes.